Hadhrat Mawlānā Pīr Ghulām-Hasan Siwāg (or Suwāg) was one of the notable deputies of Khwāja Muhammad Sirāj ad-Dīn Naqshbandī Mujaddidī (1297-1333 AH) of Mūsā Zaī Sharīf. 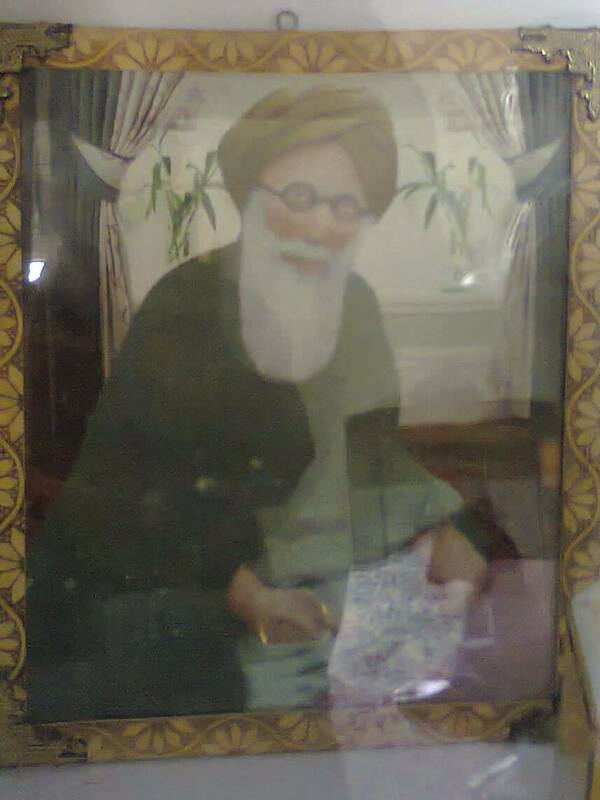 He was born in a village called Dagar Siwāg, Layyah district, Pakistan, in the middle of nineteenth century. He was raised as an orphan. He studied with Mawlānā Nūr Khān, who was a deputy of Khwāja Muhammad Uthmān Dāmānī (d.1314 AH). By the advice of his teacher, he first took allegiance in the Naqshbandī Path with Khwāja Dāmānī. 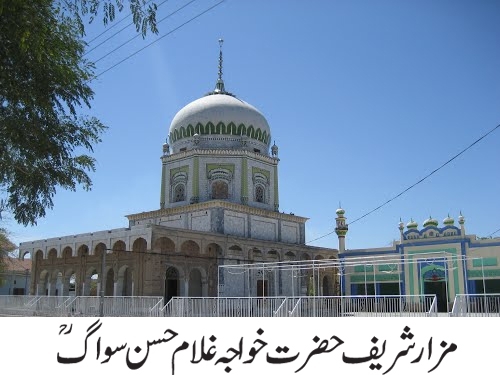 After the demise of his shaykh, he continued his spiritual journey with his shaykh’s son Khwāja Muhammad Sirāj ad-Dīn, who awarded him deputyship in the Sufi Path. 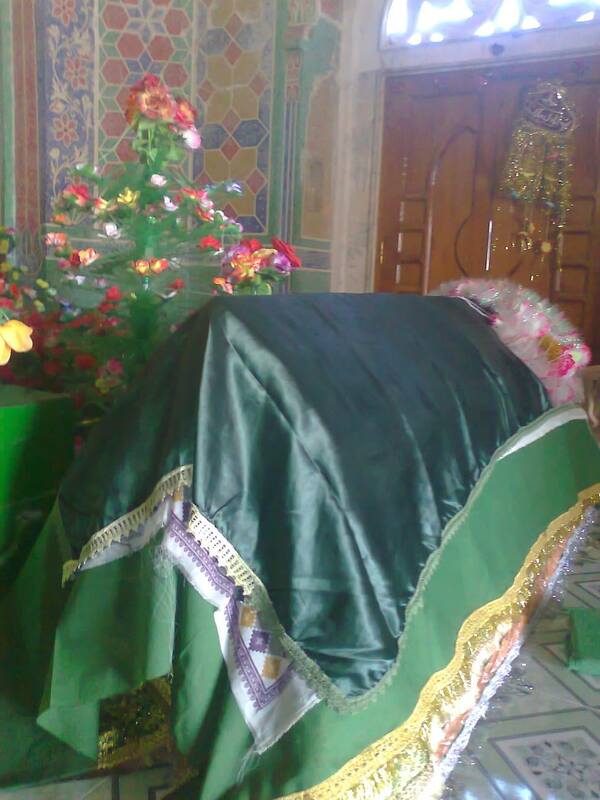 He established a Sufi khānqāh in Hasanābād Thal, near Karor Lāl Esan, district Layyah, Pakistan. He was famous for converting large numbers of Hindus in Islam, who would convert only by looking at his blessed face. 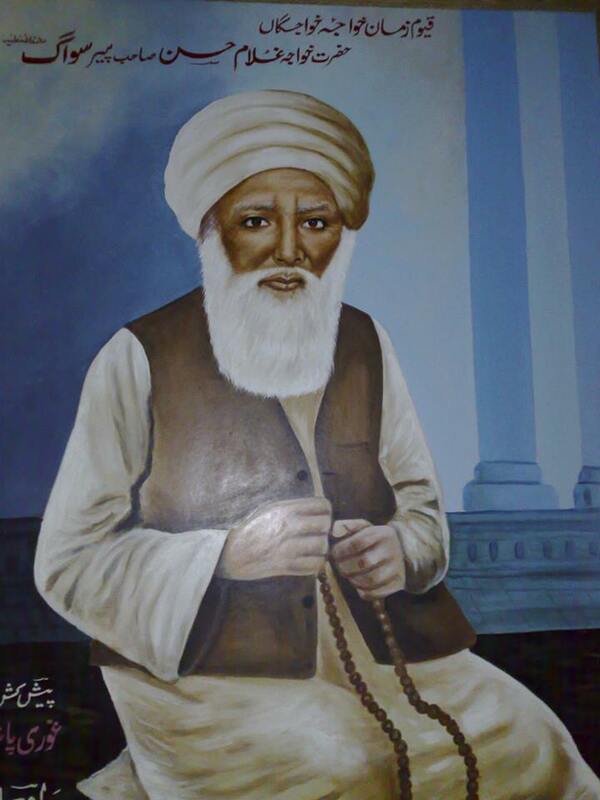 Khwāja Ghulām Hasan Suwāg (rah) was a shaykh of the Naqshbandi tarīqah [spiritual path]. Whenever he looked attentively at a disbeliever, they would become Muslim. Many Hindu youth became Muslim in this manner. A number of Hindus filed a case accusing the shaykh of forcing their youth to become Muslim, and he was summoned to appear before the court. When he arrived, he asked why he had been summoned. The magistrate told him that he was accused of forcing Hindu youth to become Muslim. The shaykh was very surprised when he heard the nature of the charge levied against him. He turned his attention toward the group of Hindu plaintiffs and asked one of them, “Have I made you a Muslim?” In reply, the Hindu recited the testimony of faith [kalimah]. He then looked toward another, then a third, then a fourth – and each recited the kalimah. Fearing that the shaykh might also look toward him, the magistrate, who was a Hindu, said, “Enough. I now understand the situation.” He dismissed the charges and the shaykh was exonerated with honor and respect. 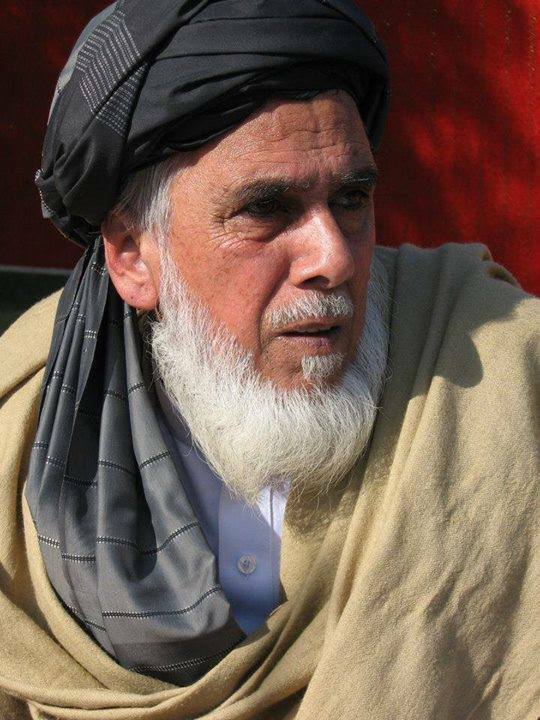 Pīr Ahmad Hasan Siwāg, present shaykh at the khānqāh. This entry was posted in Deputies of Sirajuddin, Pakistan, Punjab and tagged Layyah, Musa Zai Sharif, Pakistan, Siwag. Bookmark the permalink. Aslam Alykum.mera pir sewag lajpal hay. Masha Allah.peer sewag zinda bad.